October is think pink for Breast Cancer Awareness month. 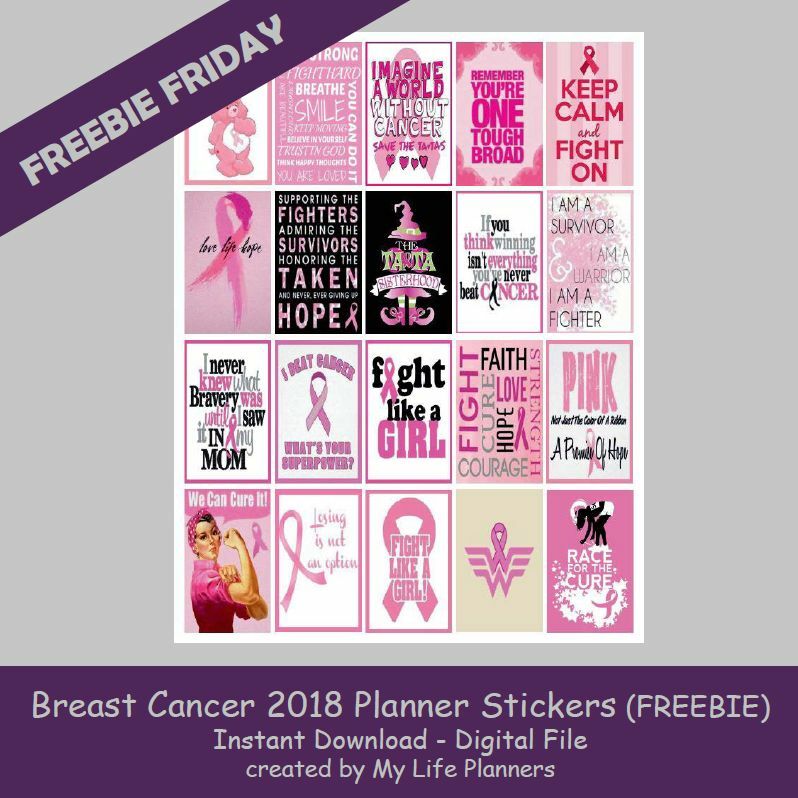 This week’s freebie Friday is dedicated to my sister, Lori who lost her 3 year battle with breast cancer on September 21, 2016. National Mammography Day is October 19 this year. Think pink and please do your self exams. Early detection is the key. Let’s decorate our planners in pink and show our support. May a cure be found soon before we lose any more brave warriors. In case you missed Breast Cancer Awareness Quotes 2016 Planner Stickers you can revisit and download them from here.